SoftBank, a Japanese telecommunications and Internet corporation, has confirmed via a press release and a live event in Tokyo the $20.1bn investment that would give SoftBank a 70% ownership of Sprint. The news hit the rumor mill 3 days ago and was pretty much confirmed by CNBC yesterday. The transaction is expected to close in mid-2013 pending regulatory approval. Roughly $12.1bn will be paid to the shareholders at $7.30 a share and $8bn will be used to "strengthen Sprint's balance sheet," grow the network, and perform "strategic investments." 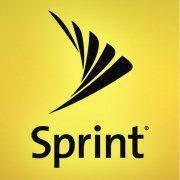 Sprint's shares closed at $5.73 last Friday for a +144.87% gain this year so far.